This collection is housed in The Art Gallery of Ballarat, which owns, manages and exhibits it to the public. Built in 1884, the Gallery is Australia's oldest and largest regional gallery, and was the first to be built outside a capital city in the overseas dominions of the British Empire. The original building at 40 Lydiard Street North, which is still the core of the Gallery, was opened by Alfred Deakin on Friday 13 June 1890, having taken three years to construct. In 1987 the City of Ballarat expanded the Gallery into the Bones Building, a group of shops adjoining the existing building in Lydiard Street. The latest expansion came as part of the 2001 Centenary of Federation, when the Gallery building was extended through to Camp Street as part of the Camp Street arts precinct, which also includes the University of Ballarat Arts Academy and Alfred Deakin Place. The collection aims to present the history of Australian Art from its beginnings to the present day, through paintings and works on paper with selections of sculpture and decorative arts, also looking closely at the work of regional artists and works depicting the growth of Ballarat. An important factor in the collection’s growth was the George Crouch Prize for contemporary art, which ran from 1927 till the 1970s. Established by Federal MP Richard Crouch, a native of Ballarat and son of an early pioneer, as an acquisitive art prize in memory of his father, the Crouch Prize was for many years one of the most prestigious art prizes in the country. The Crouch Prize ensured that the Gallery continued to build its collection of Australian art at a time when many other regional galleries were suffering from a lack of energy and investment. Crouch also established a prizes for watercolours in memory of his sister Minnie and gave the Gallery his remarkable collection of medieval manuscripts and early printed books, the only Australian holding of such items outside the capital cities. Recent purchases and donations have expanded on the holdings of modern Australian sculpture and opened up a new vista of collecting - the art of the indigenous peoples of Australia's Top End. The collection includes one of the icons of Australian history: the original flag from the 1854 Eureka Stockade. This unique and beautiful relic, which had been held by the Gallery since 1895, underwent conservation works and was put on permanent display in 1973. Since then, serious attention has been given to the acquisition of works of art that help to interpret the story of Eureka. The collection is one of Australia's earliest and most important regional art collections. The breadth of the collection provides an integrated overview of the entire span of Australia's art history. The collection is an important basis for Ballarat's cultural life and for a vigorous and exciting program of exhibitions. Sepia photograph of the Lindsay family. 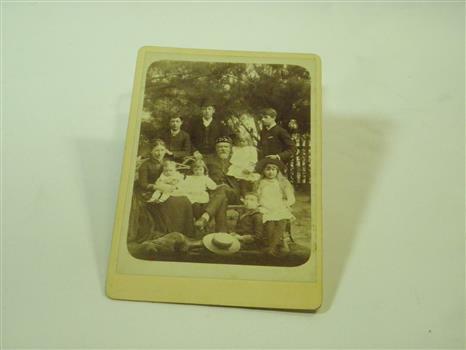 Dr Lindsay seated centre, Mrs Lindsay seated left, five children seated, three eldest sons standing behind. Lindsay family portrait with both parents and eight children, possibly taken in Creswick. 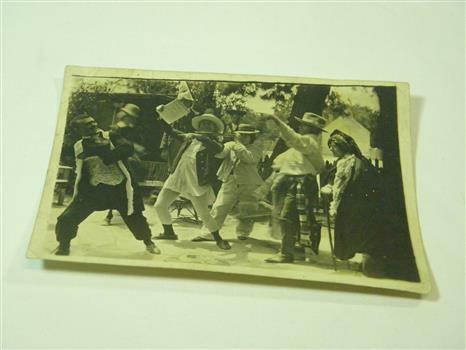 Black and white photograph of Lindsay family during outdoor theatre performance. Five family members in the foreground. The middle figure is holding a telescope.